I started my Web site 14 years ago at the end of 1997. So, what is the oldest listening activity on my site? Well, one of them is certainly one of my favorites called "Saving the Earth." I recorded with my daughter. My kids have contributed their voices over the years to make the site interesting to users. Having a bad roommate can be an awful experience. Imagine someone who every cleans up, holds wild parties until the early morning hours, and eats all of your food. What would you do? How do you work through such situations? In my newest video activity, you can meet such a guy. Watch and then share your ideas on this. Do you want to SMILE a little? My newest video activity is on homestay experiences, but this video is CERTAINLY different than any other I have created. 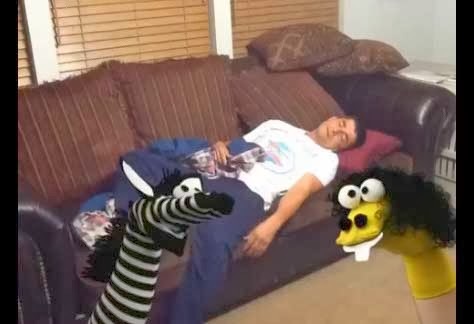 I am experimenting with video puppet shows, and in this one, you hear my voice AND see me sleeping on the sofa as the unusual roommate. Tell me if you think these are useful. I might create more. Last weekend, my wife and I completed another marathon, and at the mile 23 (37km) point in the race, we jumped in the air to celebrate the accomplishment (and to forget the pain). Just like in life, we all encounter and pass through difficult times (and this includes learning another language like English). However, if we are persistent and never give up, we can see progress in our lives. 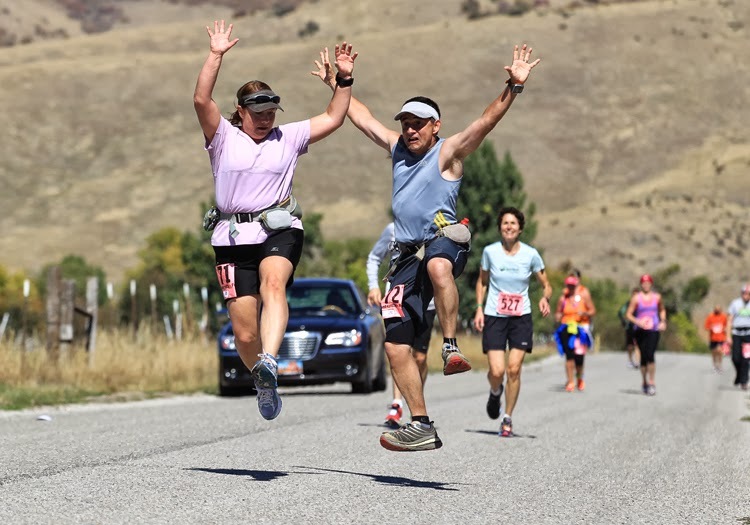 You can see a full report of the race at http://www.hikinginutah.com/huntsvillemarathon-2013.htm.